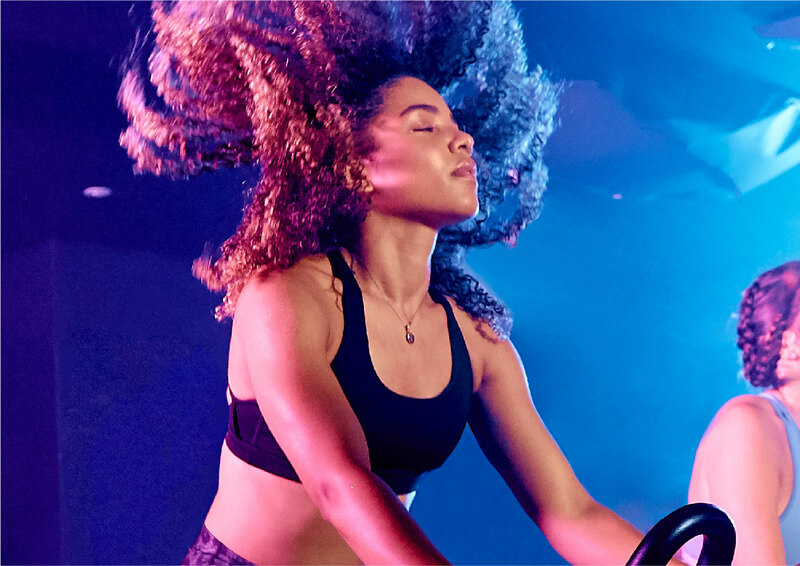 What: Boom Cycle have launched a campaign celebrating the true representation of working out; they believe that working out should be about completely letting go – getting sweaty, feeling free and having fun. 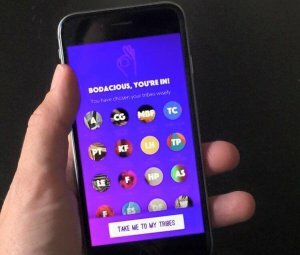 With the rise in misrepresentation of fitness in social media, they want to challenge the ‘norms’ of self-image and the world around it by starting a discussion about the importance of showing working out in a more truthful way and promoting exercise as a way to #CutLoose and feel good over anything else. The Event: Boom Cycle are teaming up with James Lamper from Emotion Matters to host a #CutLoose body acceptance workshop. The talk will explore the effect of social media on body image, help you challenge critical thinking, and most importantly, give you exercises and activities on building body confidence, to help you see the strength and beauty within yourself. 2. 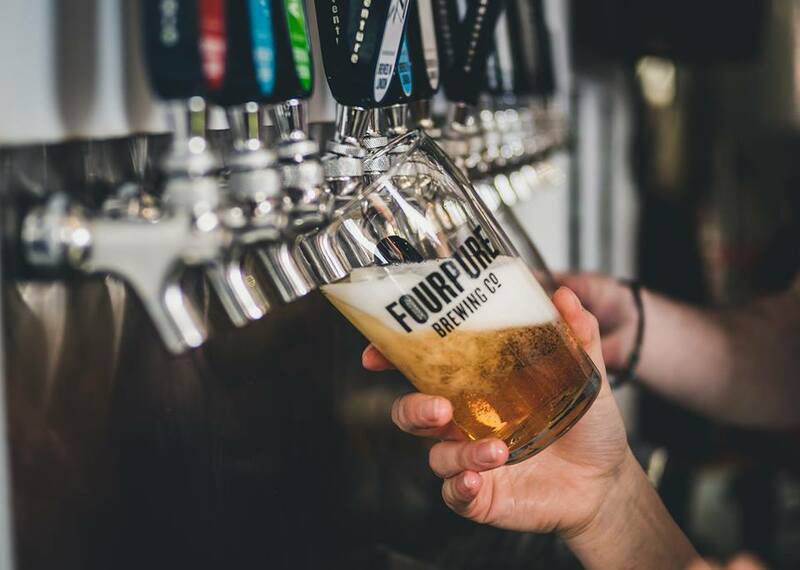 For a Beer Bash: Fourpure Brewing Co.
What: Fourpure Brewing Co. is turning five – and to celebrate the milestone in style – they’re launching five brand new beers at their birthday party on Saturday 13th October. 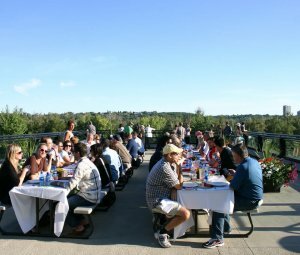 The Event: Beers served on the day include: Mexican Hot Chocolate, Beach Life, Malt Shake, Ginger and Lemongrass Saison and Peanut Butter and Jelly Stout. 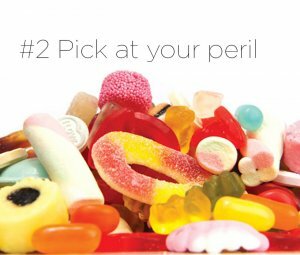 Although the beers will be taking centre stage, Fourpure is also making sure there is something delicious to eat on the day. Oh My Dog! is now permanently situated outside Fourpure’s taproom in a fancy container kitchen, complete with a totally drool-worthy menu. The street food vendor will be serving up gourmet hot dogs, burgers, wings, tater tots plus vegetarian and vegan options to keep everyone happy, and there’ll also be a live DJ set to keep the party vibe going. 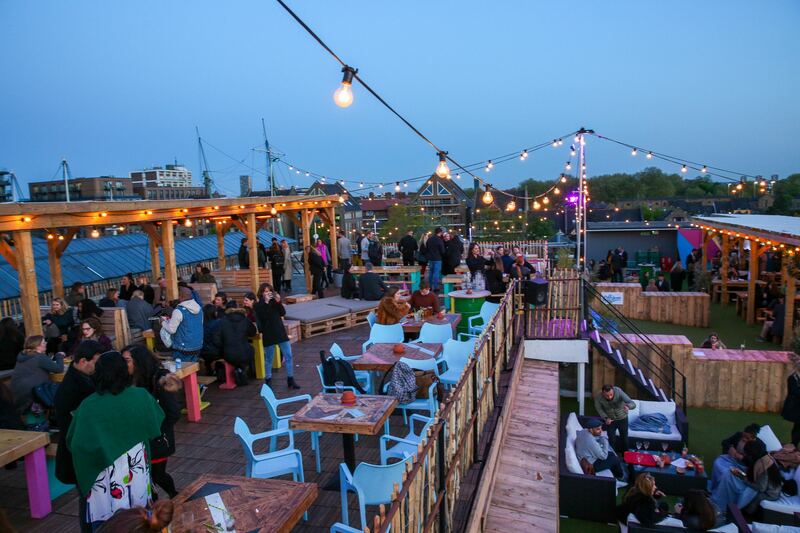 What: Skylight has launched HarvestFest at their rooftop hangout at Tobacco Dock. A celebration of the russet tones and mellow fruitfulness of autumn, HarvestFest features a host of seasonal additions, events and surprises that define this beautiful season – from apple ciders and warming spiced cocktails, to Horseshoes and Hay Bale Skittles. The Event: Soaring above London’s most unique event venue, Tobacco Dock in Wapping, Skylight boasts three floors of bars, street food, live entertainment, lawn games, screens and an unrivalled view of London’s iconic skyline. 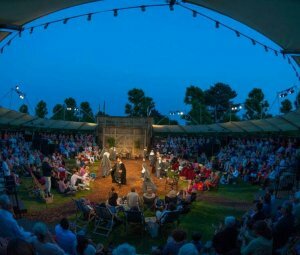 This year, as another successful summer season draws to a close, the venue will be staying open, bringing out the blankets, turning on the heaters, and transforming its sunlit terraces into warm and inviting spaces designed for shorter days and cooler nights. Photo Credit: CPG Photography Ltd.
What: The Five Points Brewing Company have created three new limited edition green hopped beers, and to celebrate the special launch, they’ll be showcasing the bevs at their very own Green Hop Festival taking place at the Pembury Tavern. 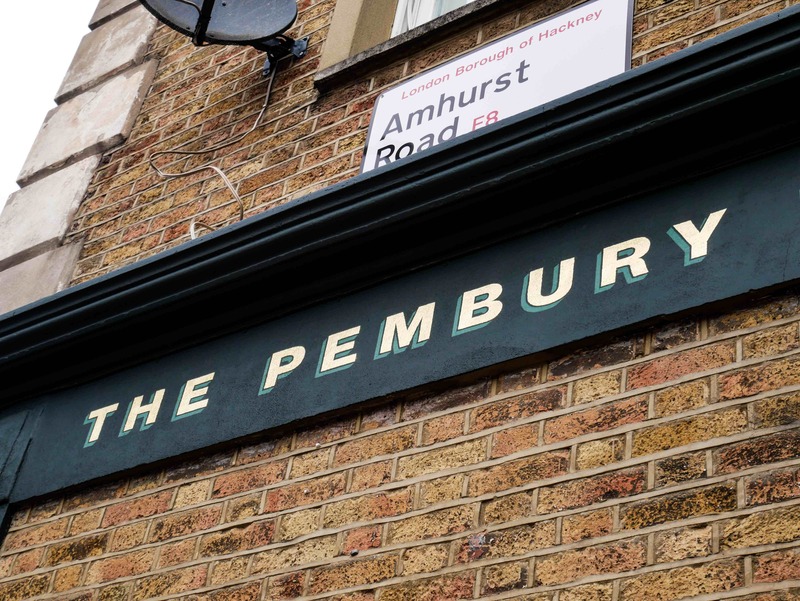 The Event: The brilliant newly-launched Five Points home-site, The Pembury Tavern, will host the three beers alongside other green hop brews by breweries including Pig & Porter, Canopy Beer Co, East London Brewing Company and more. Spend your Sunday afternoon enjoying damn tasty pizza and taste-testing the spicy flavour of these wonderfully unique green hopped beers. What: This weekend, in celebration of the reopening of their Soho restaurant, Wright Brothers will be serving the ultimate Seafood Feast, available for groups of two, four or six people. 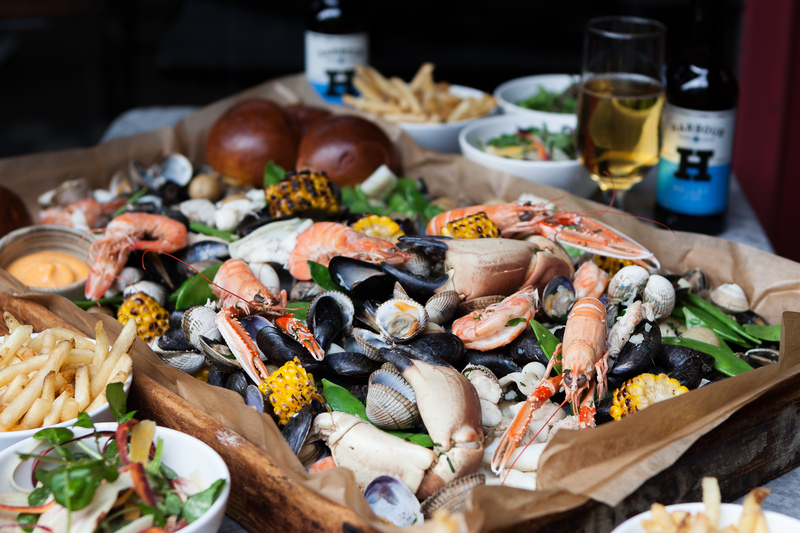 The Event: Indulge in a combination of mussels, clams, crab claws, prawns, langoustines, squid and monkfish cheeks along with corn, potatoes, mange tout, brioche roles, fries, salad and homemade sriracha mayonnaise with a bottle of refreshing Harbour Helles lager. Prepare to get stuck in, and get your hands dirty. Price: £45 per person. Buy here.